Gran and Granddad come for a visit this weekend and Gran bought Addi a present. 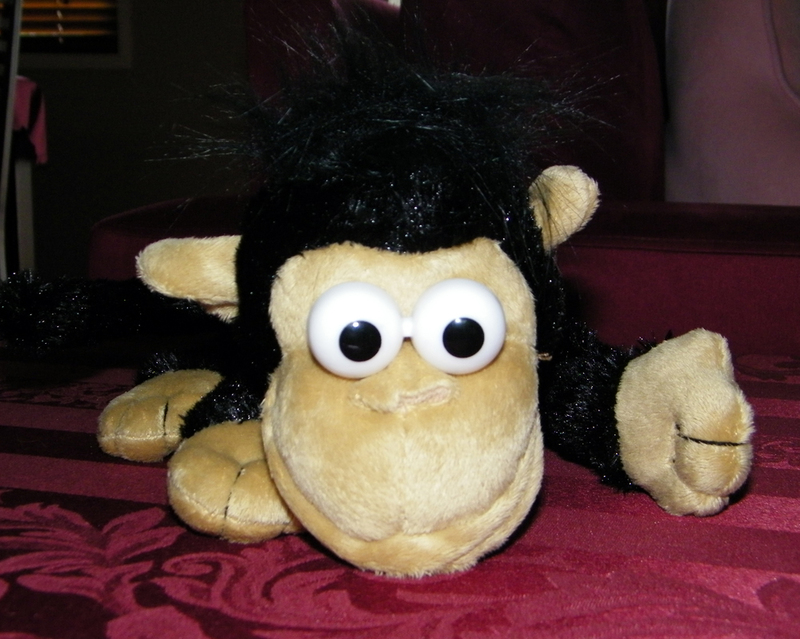 It’s a very funny toy monkey that rolls and laughs. Hopefully the monkey will inspire Addi to roll :). I’m not sure that Addi quite knows what to think of the monkey just yet.